Estrella is definitely one of my favorite gluten free beers, aside possibly from Green’s. You wouldn’t happen to know any businesses around Portland that sell Estrella? Cheers on a great post; here’s a link to our list of places serving gluten free beer in Portland. Please let me know if this beer is available in the Atlanta Georgia area. This is the first gluten free beer that tastes like “Real Beer”!! It Rules, thanks for making it happen! Could you please tell me where you can buy this beer in Australia? We agree, Karen, it’s absurdly expensive! For me (Ben), I only purchase gluten free beer on special occasions, preferring cocktails and ciders for my main alcoholic beverages. It would be great to have a cheap, pleasant, easy-drinking gluten-free beer for everyday. Thanks for the response, Matt. Our readers are very interested in this beer, we appreciate Estrella’s hard work! Sorry to hear it! Goes to show the Parts Per Million count is different for different people. Good luck! gluten free should mean safe for ALL celiacs. Timmy, I had a reaction as well. I am upset that the company keeps advertising this product as safe for celiacs. I just got this today at an ABC Liquors in Boynton Beach, Fl. So far, I haven’t had any negative reaction to it and I have had three! It is very tasty and has a lot of body and flavor considering it isn’t a dark beer. I am very happy as now I have two beers to choose from. this one and Redbridge. You need to be selling this beer in Canada. We discovered it on a trip to Florida this year and it fits our gluten-free lifestyle well. Please contact LCBO (Liquor Control Board of Ontario) and entice them to offer it, especially in the Kitchener area. May I recommend GREEN’s gluten free beers. 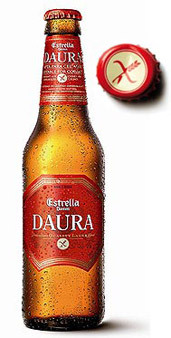 There is no comparison to the Estrella Daura. Mr. Green, who is a British Celiac, produces 5 gluten free craft beers in Belgium. They are all made with deglutinized barley malt and therefore have a REAL beer taste. The Blonde Ale and the Dark Ale are just amazing! However, as I said in my previous comment, the American version of Green’s beers is different. But it’s worth a taste anyway! You know how a good European, old-school, beer has that floral taste to it? This beer reminds me of a good 4-ingredient German beer. It is far, FAR, better than Green’s. Green’s ALWAYS gives me a headache and has this weird metallic aftertaste, and tastes similar to beer, but doesn’t really taste like beer. Estralla, is the real deal. I hope it catches on across the world. I would love to be sitting at a table with my friends and be able to order a pitcher of gluten free beer that didn’t produce the expected ‘bitter beer face’ I’ve come to see in my friends’ faces. Reblogged this on Eric Van De Vens Blog. I’m still dreaming of it… I won’t touch this stuff again. It made me sick. 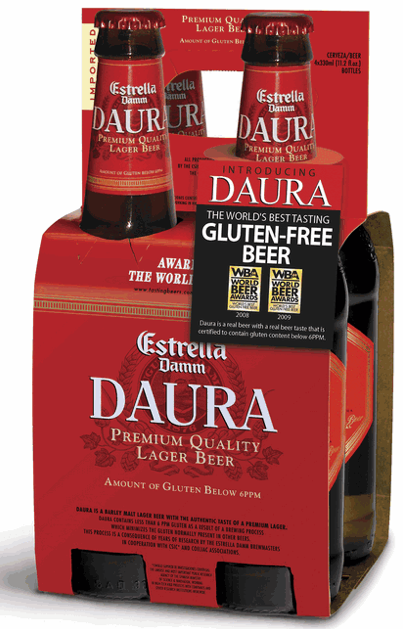 Is “gluten-free” beer made with barley malt safe for celiacs?